As nice as it is to play a round on a perfectly manicured course, there are some days that a round at the local muni is just what the doctor ordered. Of course, that normally means no cart girl checking in with frosty beverages every few holes. 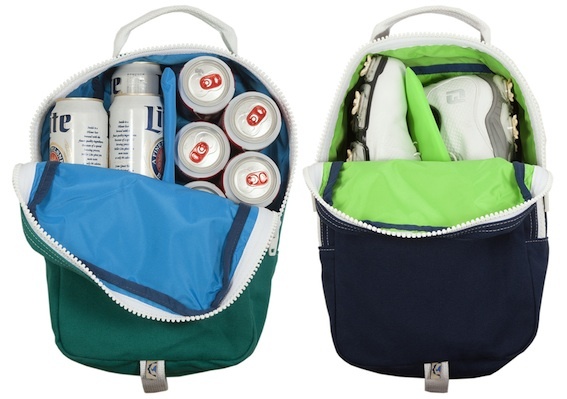 Luckily, a recent collaboration between our buddies at Hudson Sutler and Criquet may just be the perfect way to quietly bring a few cold ones with you to the course. See, their new shoe bag has a nylon liner that’ll keep the outside dry while a bag of ice keeps everything inside nice and cool. Oh, we almost forgot, if you don’t drink on the course, but do need a new shoe bag, this is a fantastic pick. Not only did Memorial Day weekend mark the unofficial beginning of Summer for us last weekend, it marked the first day of crab season. Within minutes of seeing a table filled with steamed crabs covered in Old Bay we were elbow deep and as soon as we were done we were already looking forward to the next crab feast. 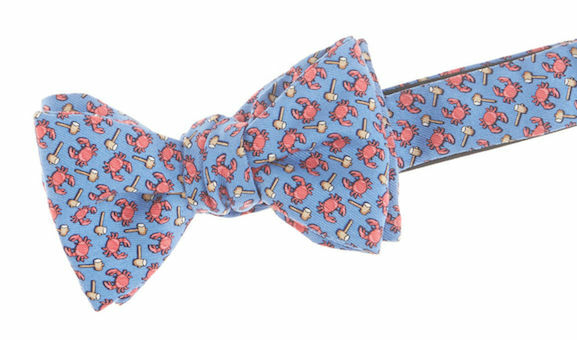 In honor of one of our favorite Summer activities, today’s Bowtie Friday pick is the Crabs and Mallets Bow from Vineyard Vines. It’s been quite some time since we’ve featured an all new pair of boatshoes, but that all changes today. See, our friends at Kiel James Patrick recently unveiled their take on our favorite shoes, and we’re quite impressed with their first foray into the world of footwear. Whether you need a pop of color in your boatshoe collection, or just an update to your every day pair, KJP has you covered. We were planning on letting y’all know that our friends at Jack Donnelly just released the latest version of their fantastic Carters today, but things change rather quickly as we were cruising around their website. See, it turns out that they’ve also quietly reupped another of one of our favorite Jack Donnelly products. To say we were happy to see the Barkleys make a return to the lineup would definitely be an understatement. Today we’re taking a break from our usual Bowtie Friday post to say congratulations. 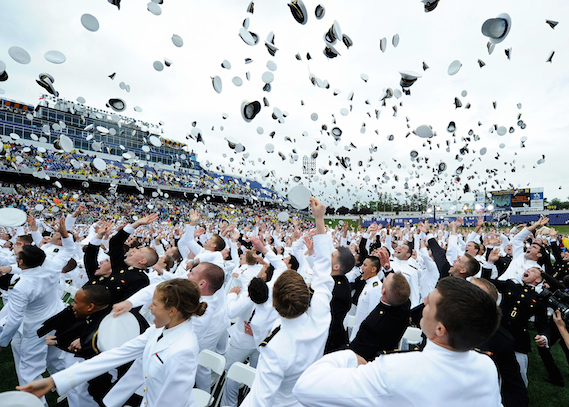 Congratulations to the United States Naval Academy class of 2015. We’ve watched you grow from afar ever since you hit Annapolis for Plebe Summer and wish every last one of you the best as you embark on the next step of your military career. Congratulations, and thank you in advance for all that you’ll do. We’ve tiptoed into the world of colored denim a time or two over the years, and we’re yet to find a pair that can stay in the rotation for an entire season. To be honest, we thought we were done trying, but it looks like we’ll be giving it another whirl this Summer. 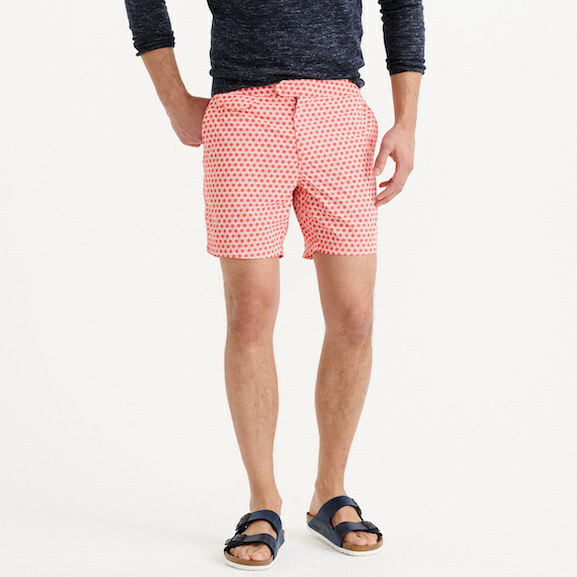 This time around we’re going straight to a source that has yet to steer us wrong with a single purchase, Sid Mashburn. 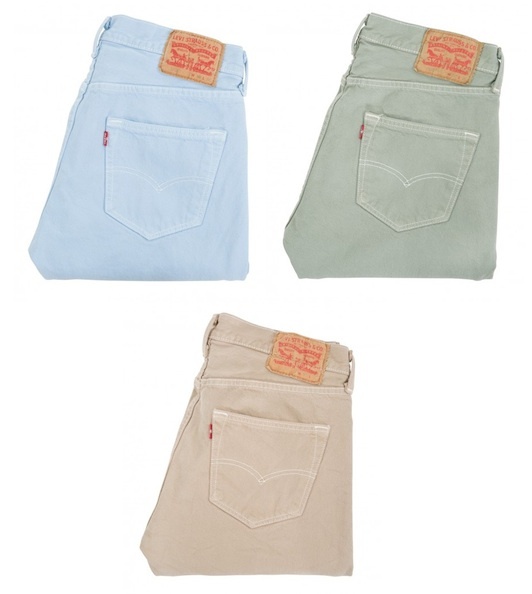 They have a few pairs of Garment-Dyed Levi’s 501s that have really piqued our attention. 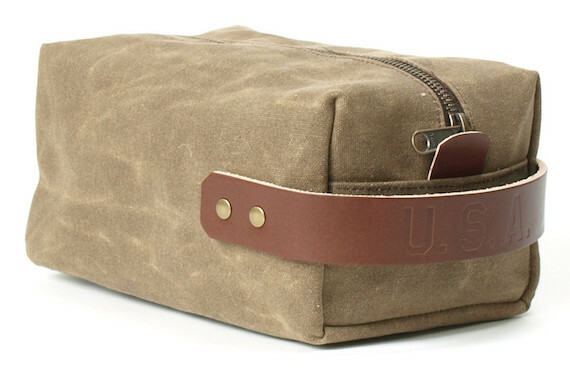 USA Dopp by Blue Claw Co. Earlier this week we got an email from our buddies over at Blue Claw asking if we were interested in helping spread the word about a limited time Memorial Day offer they were cooking up. We learned a bit more, and today we’re happy to help announce the release of their limited edition USA Dopp. From now until next Wednesday, whenever Blue Claw sells one of these dopps, they’ll also send one to a sailor aboard the USS Donald Cook. 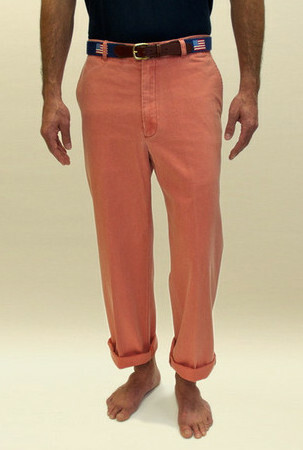 Yesterday, for the first time in what felt like ages, we broke out our trusty Nantucket Reds. Now, we aren’t talking about “Nantucket Red” pants, we’re talking about the real deal Reds straight from the source, Murray’s Toggery. Guys, if these aren’t in your rotation yet, you are absolutely missing out. For many, this weekend is going to mark the beginning of beach season. Hopefully, you’ve already taken stock of your current swimwear rotation and you know where the holes are (literally and figuratively). If you haven’t, get to it. 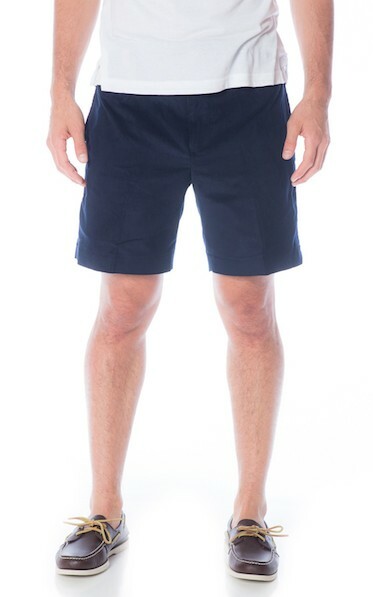 Whether you need some replacements, or just a pair or two to augment your collection, the Tab Swim Shorts from J. Crew are a fantastic fit. Though just about everyone knows about Southern Proper‘s fantastic silk bowties, we’re shocked how many people don’t know that their bowtie collection expands beyond the fun ties we’ve all come to know and love. In fact, we’d argue that some of their more traditional bows will probably see heavier wear in most guys’ rotations than the printed silks. 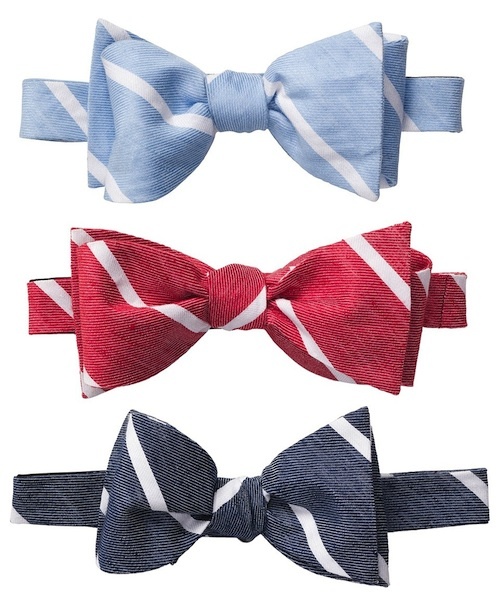 One that will certainly see heavy wear from us this Summer is their Linen Stripe Bow.